Clark Shipston was born on 1 February 1881 in New York. Thomas Shipston and Hannah Eliza Clark appeared in the US federal census of 1 June 1900 in Niagara Falls, Niagara County, New York, at 717 Linnwood Avenue. Other members of the household included Clark Shipston, Jane Shipston, Edmund Shipston, Fred Shipston, Stewart Shipston and George Shipston. The family name is spelled "Shipton." Son Albert is not enumerated in the household. He was a clothing clerk, according to the 1900 census. He married Esther Anne Donaby, daughter of Richard Donaby and Mary E. Jones, on 14 April 1903 in Niagara Falls, Niagara County, New York. The following appeared on 15 April 1903 in the Niagara Falls Gazette: At 8 o'clock last night at the residence of Mr. Richard Donaby No. 2340 Lockport Street occurred the wedding of Miss Esther Donaby and Mr. Clark Shipston of No. 717 Linwood Avenue. While the wedding was free from all display it was very pretty in all its appointments. About twenty-five guests which included relatives of the two families and close friends witnessed the tieing of the nuptial knot by the Rev. Dr. James Roy, rector of the Church of the Epiphany. The bride looked charming in a gown of ecru pongee with lace trimings. She was attended by Miss Bessie Young of La Salle who wore blue crepe. Both carried roses. The best man was Chester W. Hart. Following the wedding ceremony there was a reception and a supper that was informal but delifhtful. Mr. and Mrs. Shipston will enjoy their wedding journey later. For the present they will reside at the Donaby home. Both bride and groom are well known Falls people and have a great many friends among the younger set. Miss Donaby is a charming young lady. The following appeared on 23 March 1907 in the Niagara Falls Gazette: Clark Shipston, the north end coal dealer, fell from a ladder at the Dixon ice house at Eighth and Falls streets this afternoon at 3 o'clock, sustaining fractures to both leges. Mr. Shipston had gone up the ladder to inspect the quality and amount of ice, when the ladder slipped, and let him down. He landed on his feet. He is now at the Memorial Hospital. Clark Shipston, the Republican nominee for Assessor, is a man that is thoroughly alive to the times. He has declared himself as in favor of a complete revision of the assessment rolls with the idea of arriving at an equalization of property values, following the lines that have been suggested by Congressman James S. Simmons and indorsed by a number of influential men of the community. That is his platform. Mr. Shipston is a native of Niagara Falls. He was born on February 1, 1881, in Ashland avenue, in the settlement known as Clarksville. He attended the Cleveland Avenue school, but having scanty means at his disposal did not go to the high school. Instead, at an early age, he had to turn his attention to making a living. For six years he worked for Marcus Brown, the north end clothing merchant, and a year for Max Amberg, the Falls street clothier. Having saved a small sum of money he opened a butcher shop on the Linwood market. In 1903 he entered the coal business in a modest way, starting with a one-horse wagon and himself delivering coal by the bushel. In 1904 his opportunity came. He bought the coal business of James Low & Son, which he has developed into one of the largest of the kind in the city. More than that he has established a large feed business. Starting practically without capital, he has made himself a considerable factor in the business life of the town. Mr. Shipston's chief characteristic is his independence. He has never sought political office before, though he has always been a hard worker for the success of Republican candidates. So he comes before the voters of the city with no other interests than theirs to serve. A large property owner himself, he may be trusted to show a conservative regard for the interests of all property holders. He is the stamp of men that will go about the work of the office of assessor in a business-like manner; he has the capacity to do things, as can be measured by past accomplishments. Honorable success in business is a fair measure of worth; and it is with such a record that the republicans present Clark Shipston for the office of assessor. Mr. Shipston was married in 1903 to Esther Donaby of this city. They have two children. Clark Shipston and Esther Anne Donaby appeared in the US federal census of 15 April 1910 in Niagara Falls, Niagara County, New York, at 2121 Whirlpool Street. Other members of the household included Edith E. Shipston, Esther Anne Shipston and Ruth H. Shipston. He was a coal dealer, according to the 1910 census. The following appeared on 24 March 1913 in the Niagara Falls Gazette: Notice. The price of teaming has been raised from 65 to 70 cents per hour with a minimum of $6.30. Team Owners' Association. C. Shipston, Secy. Clark Shipston registered for the draft on 12 September 1918 in Niagara County, New York, while living with his wife Esther Anne at 2123 Whirlpool Street in Niagara Falls, and self-employed there as a coal merchant at 2117 Whirlpool. Clark Shipston and Esther Anne Donaby appeared in the US federal census of 1 January 1920 in Niagara Falls, Niagara County, New York, at Ashland Avenue. Other members of the household included Edith E. Shipston, Ruth H. Shipston, Thomas D. Shipston, Richard Clark Shipston and George William Shipston. He was a coal merchant, according to the 1920 census. 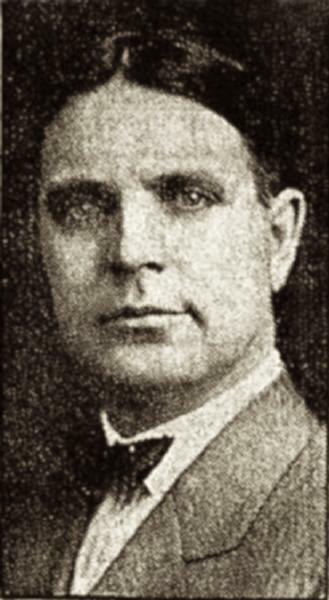 The following appeared on circa 10 November 1927 in the Lockport Union Sun & Journal: (Niagara Falls, Nov. 9) Returns of yesterday's municipal election here gave Mayor William Laughlin, Democrat with Republican endorsement, re-election for a four-year term with his only opponent, Albert Young, Socialist, receiving only a negligible vote. For the two councilmanic seats Orville Butler and George Nussbaum, Republican nominees, were elected over their Democratic opponents, Clark Shipston, an affiliated Republican, and Joseph G. Riley. Shipston is a member of the present city council. Clark Shipston and Esther Anne Donaby appeared in the US federal census of 1 April 1930 in Niagara Falls, Niagara County, New York, at 1170 Main Street. Other members of the household included Esther Anne Shipston, Ruth H. Shipston, Thomas D. Shipston, Richard Clark Shipston, George William Shipston, Edith E. Shipston and William F. Whaley. He was proprietor of a coal company, according to the 1930 census. Clark Shipston's gas station at 801 Ontario Avenue, about 1931. Clark Shipston and Esther Anne Donaby appeared in the US federal census of 1 April 1940 in Niagara Falls, Niagara County, New York, at 803 Ontario Avenue. Other members of the household included Richard Clark Shipston and George William Shipston. He was proprietor of a coal company, according to the 1940 census. Clark Shipston died on 8 November 1961 at age 80 in Youngstown, Niagara County, New York. Esther Anne Donaby became a widow at his death. He was interred at Riverdale Cemetery, Lewiston, Niagara County, New York.